€ 15.000,00+ WORTH OF THEMES AND PLUGINS ON A 97% OFF DISCOUNT! 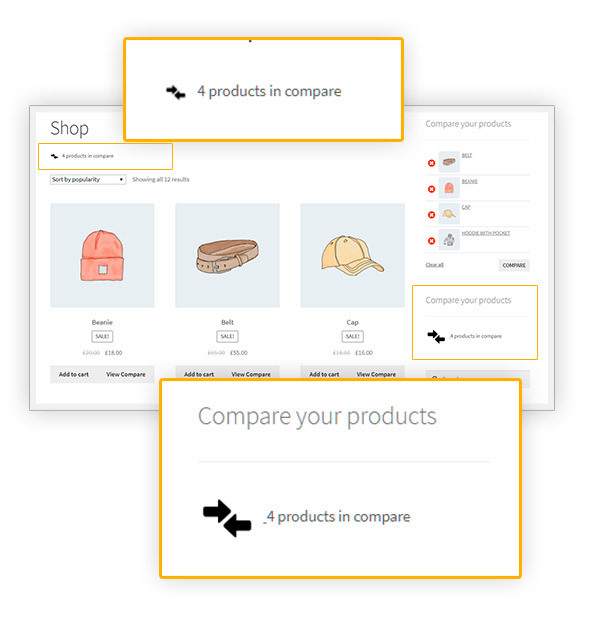 Make your customer´s life easier and allow them to make a comparison among your products in the easiest and most efficient way ever. With a few clicks, they will get an overview on everything you offer and they will be able to choose what meets their needs best! 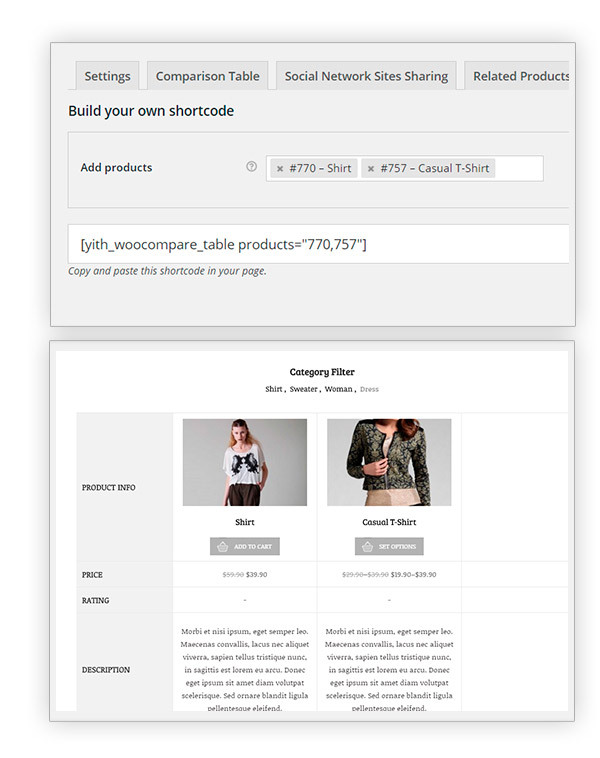 YITH WooCommerce Compare is an indispensable tool for you if you owe a quite big shop, including many items with similar features. Research made on most popular e-commerce shops have proved that the more options consumers have – and so similar products to choose among – the more they tend to feel confused and feel the need to analyse each possibility before purchasing. 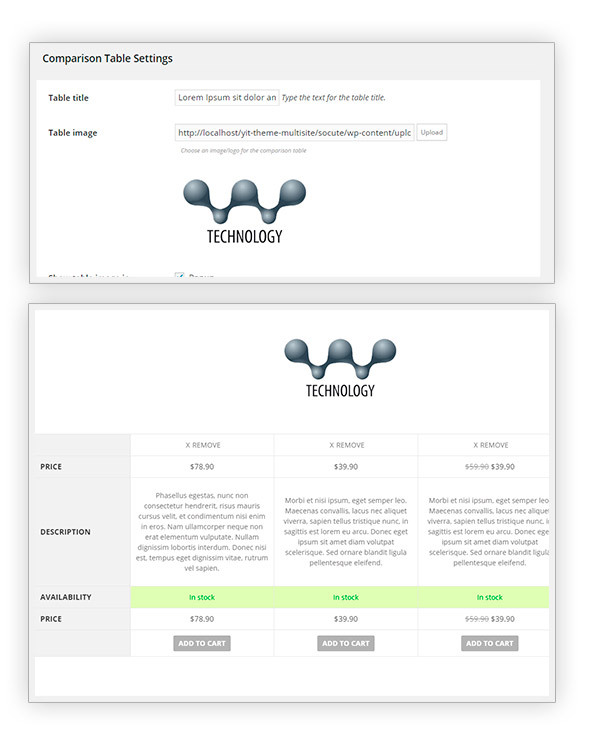 Thanks to this plugin, your customers will be able to compare in a simple and efficient way products on sale in your shop, analyse their main features in a single table and understand immediately what is just right for them, without having to examine each single product page in search for the information they are looking for. Making selection process easier means making purchasing process quicker and pushing your customers to purchase in the shortest possible time. Fix: Filter name from "yith_woocompare_empry_compare_message" to "yith_woocompare_empty_compare_message"
A page that you can add even among the entries of your shop menu. 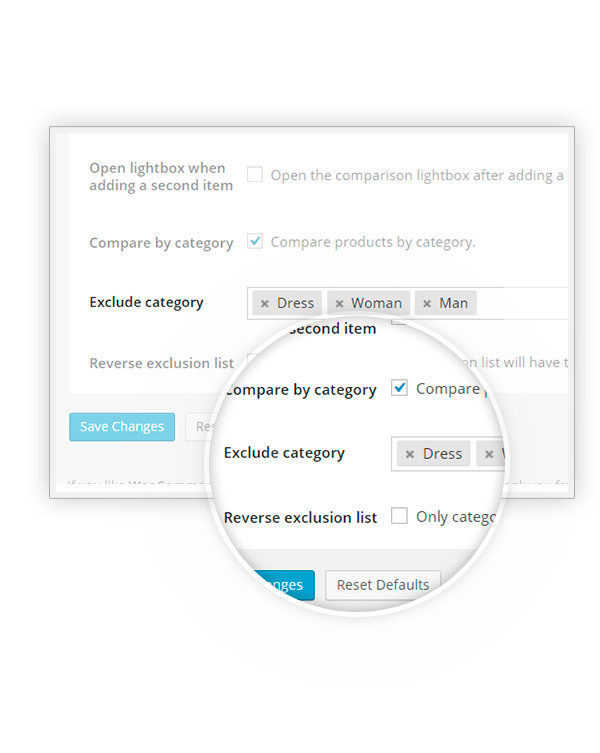 Removing every doubt of your customers thanks to the ``Compare by category`` option. In this way, they won't be available for the comparison and, on the contrary, you can even activate only those selected to be compared. 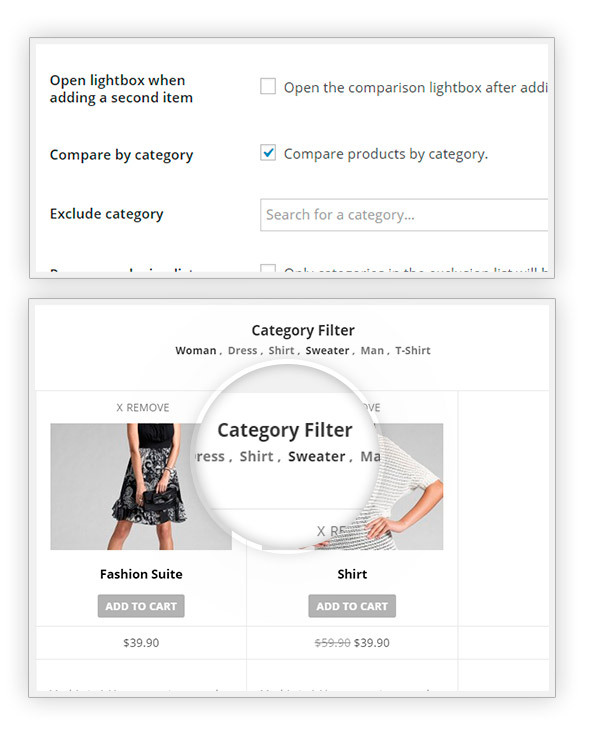 Customize the comparison table as you want! No more comparisons with empty fields: these will be automatically hidden! 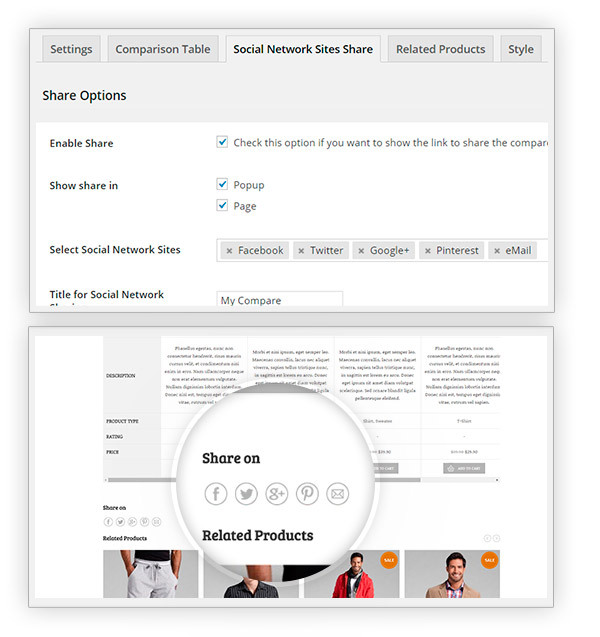 Create your comparison and share it on Facebook, Twitter, Google+ and Pinterest. 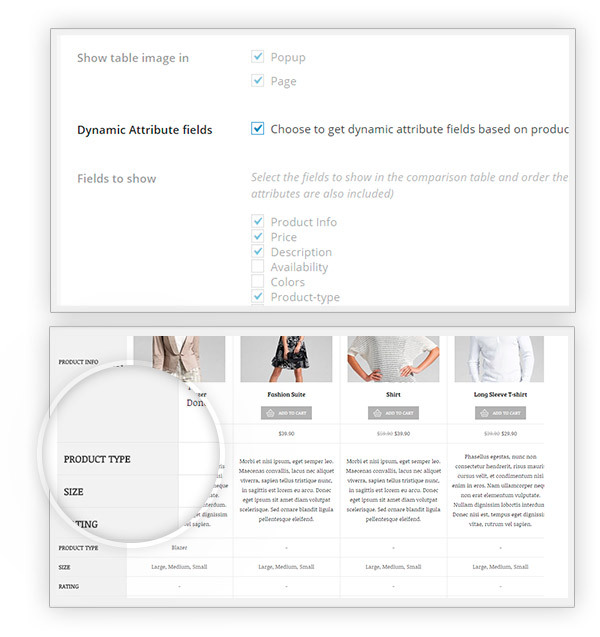 Thanks to a slider under the table that shoes the products with the same category/tag! 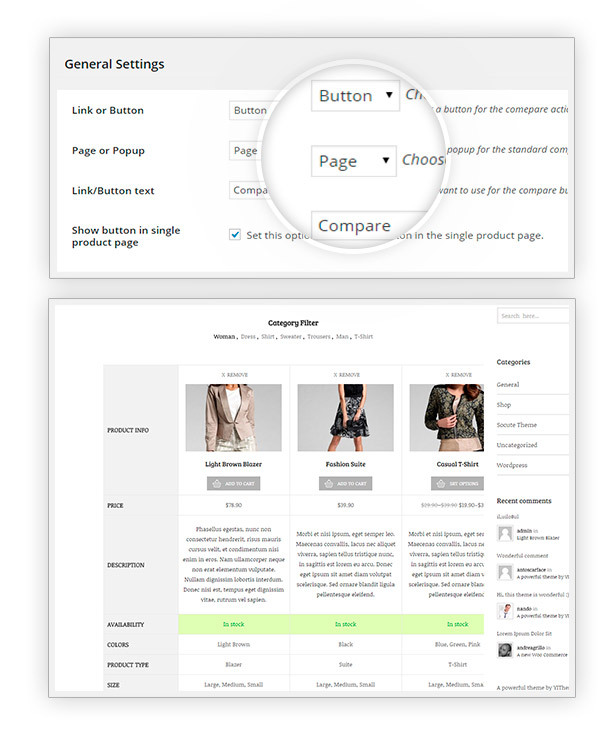 Make the plugin totally compatible with the layout of your site! 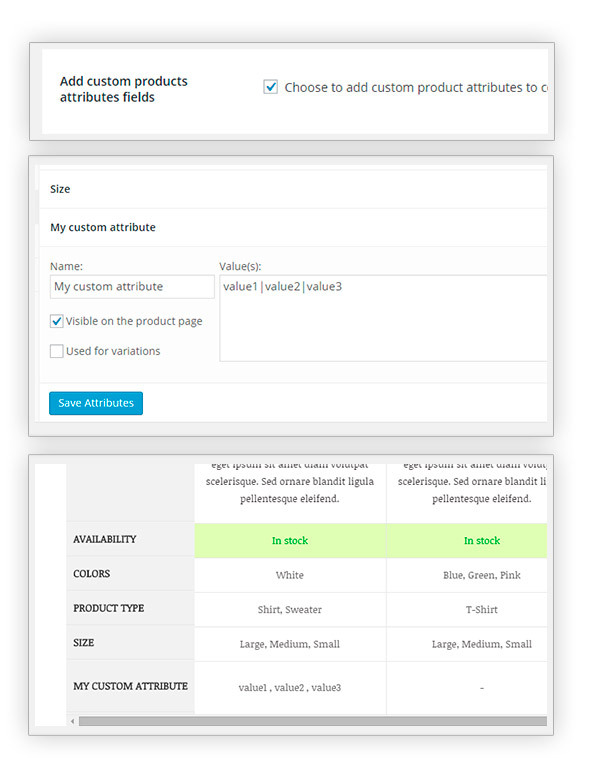 Select the products and use the generated shortcode to add the table in the page you want. Not looking good with my themeReally don't like the way it appears, it's not looking good with my theme.  Hi Karl, we are sorry to read that you are not satisfied with the plugin look and feel, yet, I would suggest you get in touch with our technicians through this page, so they will be able to help and fix any possible compatibility issues with the theme you're using! Super supportIt's a useful and well designed plugin. Unfortunately, as a developer, I well understand it cannot be ready for every theme style, but I have to say that support is excellent and help you a lot with making it fit your them style, thanks guys! 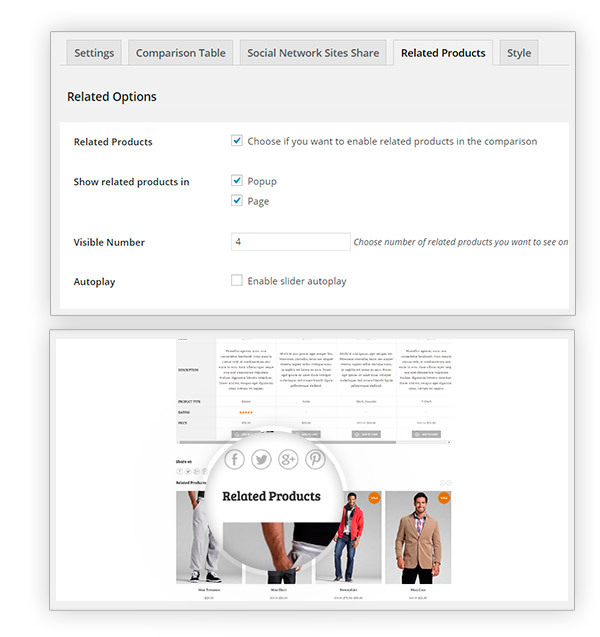 NiceVery useful for customers who need to decide between similar products. Nice features and good support service. Happy with my purchaseThere are many Compare plugins but yours is by far the best with the most useful features! Hi there! It is possible only through custom code. Unfortunately, our support policy doesn't provide this kind of customization but our developers will be able to suggest the filters/actions you need to use through our support desk. The plugin does not include this option. However in this case the developers are able to help you out via support ticket. After you have bought the plugin you can submit a ticket here, and they will provide you with a code for this option. This option is only available in the premium version. Unfortunately with the free one it is not possible. 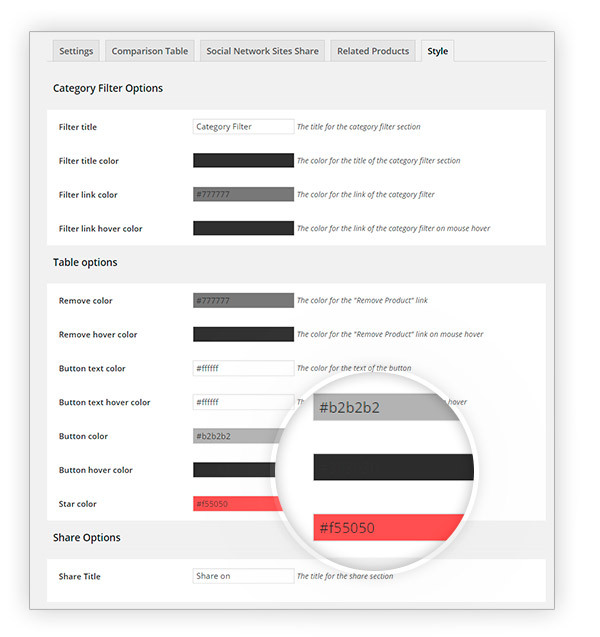 1. yes, with premium version there is a shortcode for the compare table that can be placed where ever you prefer. 2. sure, this is available for both the premium and free version. There is an option in the plugin settings to enable this feature. I'm afraid this is not possible at the moment, but the devs will study the possibility and maybe take it into consideration for future releases. Thank you very much.